Buying the best trampoline is only half the work. Another part is setting it up, and this can really test your patience. Once you remove all the parts from the box, you will instantly realize that there’s too much on the plate. To make matters worse, your tech-driven 9 to 5 job skills won’t come handy over here. So, you might feel that you are coming from a place of knowledge scarcity. Frankly speaking, assembling a trampoline is not a chronically difficult process, but some degree of labor is required to put together the equipment. So, let’s show you how it’s done without frying your brain. Once you soak in the knowledge, you will happily sail past the tough process. And, before you know, the trampoline would be ready for use. Trampolines are heavy, so be prepared to receive two or more enormous packages, you will hardly be able to move them alone. Once you are sure that all the packages are rightfully delivered, empty each package to check the parts. Even a small missing part can prove to be a major roadblock in the installation process. As such, you have the right to feel bad for the delivery guy because it’s not a light package. He/she might go nuts, so be polite with your inspection. 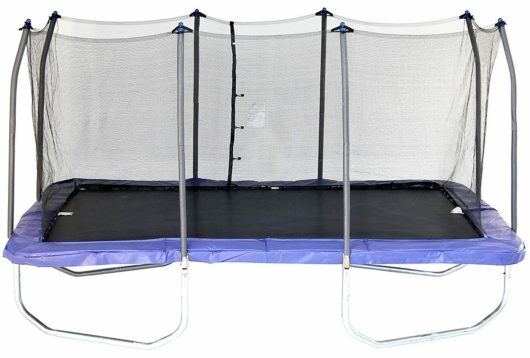 Here is a great video about Skywalker 15 ft trampoline assembly. Each model may differ slightly, so read the instruction manual that comes with the product. It may prove to be a long and boring read, but give it a shot to avoid potential assembly loopholes. For the assembly, you should start with the legs and then move towards the frame. Also, make sure to assemble the trampoline in the area where it will be used to avoid the trouble of relocation. For the sake of convenience, spread out all the parts on the ground into separate piles. Now, be prepared for some heavy-duty work. To begin with, assemble the legs. Of course, make sure that the holes line up for attaching the screws down the path. Next, you will have to attach the frame to the legs. At this point, screw the frame to the legs. Next, unroll the mat. Ideally speaking, the warning label should be facing you. Now, start connecting the springs to the trampoline frame. Also, attach the mesh to each of the provided connectors. Remember, we told you to keep a rubber mallet handy. 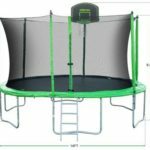 Use it to put the springs in place to keep the entire trampoline tensioned correctly. Once the springs are in place, attach the protector over them. 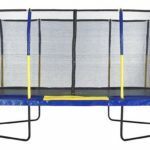 Now, put the safety foam over the wall frame, and connect the mesh wall to the trampoline frame. You are done! 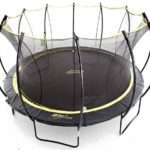 It’s time to reap the rewards for your labor, and have a blast on the new trampoline. Assembling a trampoline is not a difficult task. But yes, some labor is required to put together the equipment. However, if we purchase the product from a top brand company then in my opinion, it is good. But I like your blog also where you have discussed the assembling process in brief. I like your content. Your content is beneficial for us. It will help us in assembling trampoline. I am also manufacturer of round trampolines. 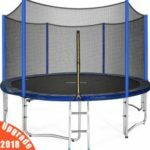 I am giving best trampoline to you which is stronger and comfortable. Thanks for sharing valuable information.